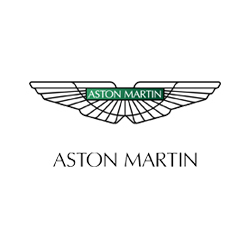 With Aston Martin being one of England’s most prestigious vehicle manufacturers Viezu is proud to offer a wide range of Aston Martin chip tuning and Aston Martin ECU remapping, which covers almost all Aston Martin vehicles. The Aston tuning that Viezu offers is custom written, meaning you can get exactly what you want. Viezu’s Aston Martin chip tuning will improve a number of aspects of your Aston, such as the overall power and torque, its driveability and throttle response. Most of the Aston Martin tuning can be carried out quickly and efficiently through use of the vehicle’s OBD port meaning the tuning process can take as little as 45 minutes to complete. All of the tuning and Aston Martin ECU remapping done by Viezu can be tailored to suit your needs. All Aston Martin car tuning and Aston Martin chip tuning comes with Viezu’s no quibble money back guarantee and full underwritten insurance. All of the tuning done at Viezu is handled by our experienced ECU software and remapping experts, using our environmentally controlled rolling road in order to test extensively in both real life and simulated conditions. Viezu has engine remaps for the majority of the Aston Martin range such as the DB9, Rapide, Vantage and the Vantage Roadster.